The energy market is in a very unstable situation. Crude oil prices and natural gas prices are not stable. As I said last time, crude oil prices are rising. 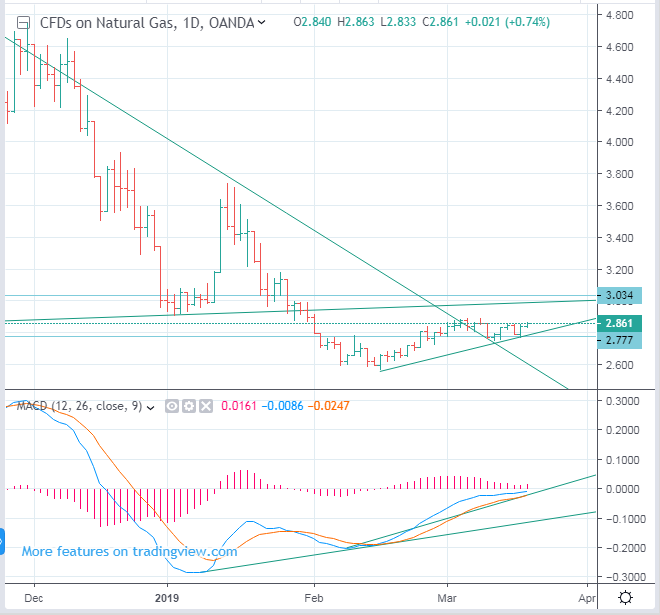 Natural gas prices are likely to rise slightly. Critical price lines for natural gas are 2.77 and 3.05. Natural gas is unlikely to make a big rise yet. It will take a lot of time for the market to stabilize. Therefore, it would be better to trade in a short-term perspective. What is important in the natural gas market is Russia's natural gas and European energy situation.